Almost all of my clothes are black, most of the rest of my clothes are grey, and I have a few red and/or white pieces just to brighten things up. So I wanted to do a manicure that would be representative of my wardrobe. I painted my thumb and pinky with OPI Dark Side Of The Mood and then using the brush in the bottle, painted a stripe of OPI Embrace The Gray down the middle. I did the same thing with my middle and ring fingernails using OPI My Boyfriend Scales Walls for the base and OPI Cement The Deal for the stripe. And then for a bright accent, I painted my pointer nail with OPI Red Fingers and Mistletoes. 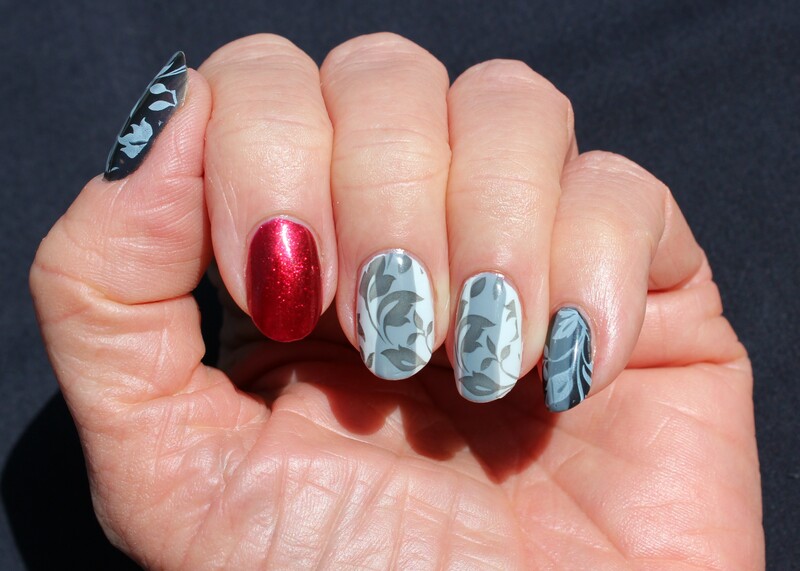 Then I used Image Plate Pueen55 to stamp leaves on the grey nails. I used My Boyfriend Scales Walls over the darker nails, and Dark Side Of The Mood over the lighter nails. I really like how this turned out. I’ve been so busy lately, I barely have time to sleep! I did get a little time to polish all of my nails with OPI I Carol About You. I love this bright purple polish, It’s so pretty, and it has a faint little bit of sparkles in the sun. But, after a few days, my tips were worn and chipped, and I didn’t have any time at all to fix them. 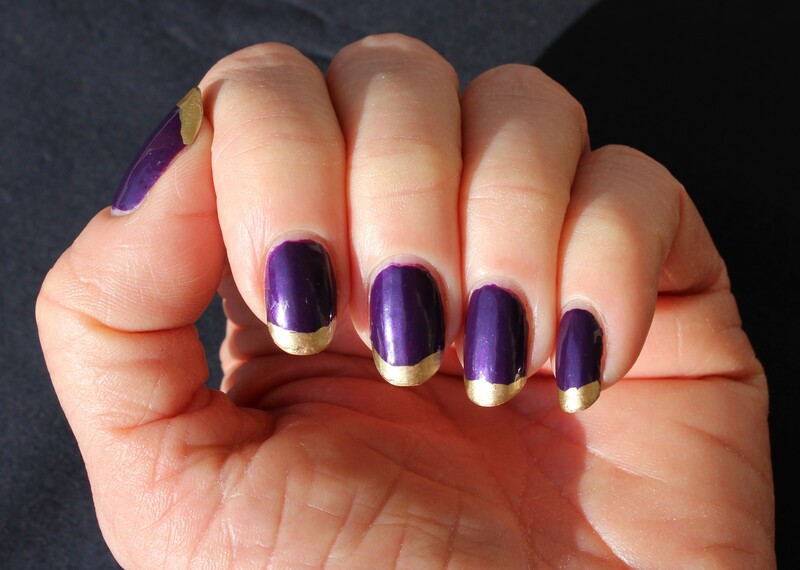 So in about 5 minutes I painted my chipped tips with Maybelline Bold Gold. I love the purple and gold together. For some unknown reason, I wanted a more “natural” look on my fingernails, so I painted all of them with OPI Bubble Bath. I really love this color, it’s a beautiful translucent pink that’s almost the same color as my skin. 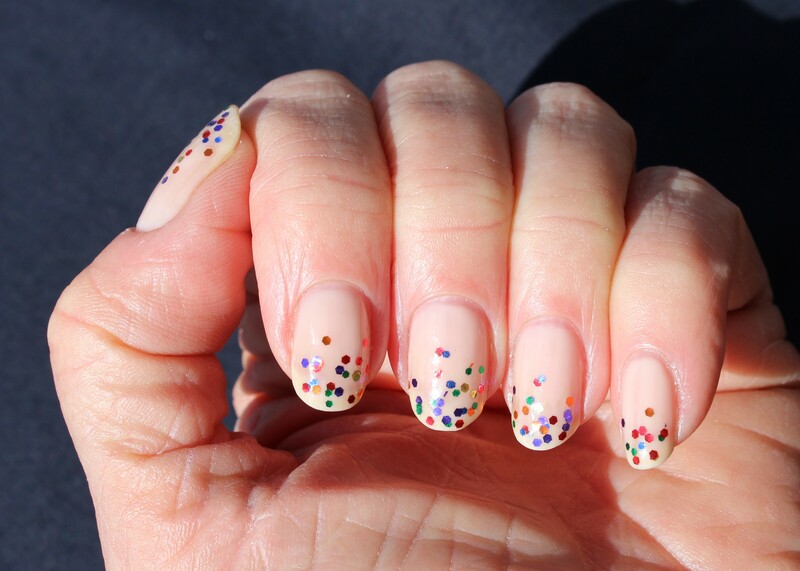 But, of course, once I had them all painted, my nails looked really plain and boring to me – big surprise there – lol! So I put some Nail Pattern Boldness Ignition (remix) on the tips, and it was much better! Al said that they looked like cupcakes with sprinkles – thanks a lot Al, now I want cupcakes! 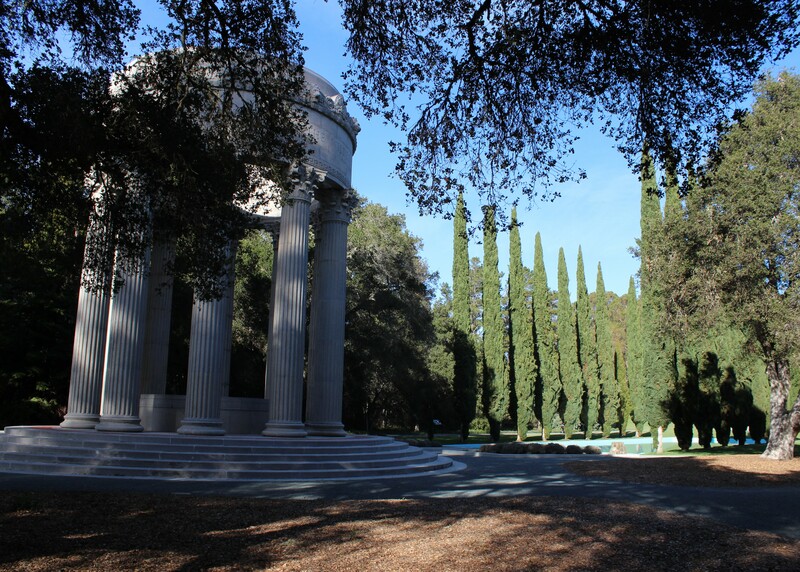 Filoli closes at 3:30 and our dinner reservations were at 5:00, so with the extra time, we went just a couple of miles down the road to the Pulgas Water Temple. 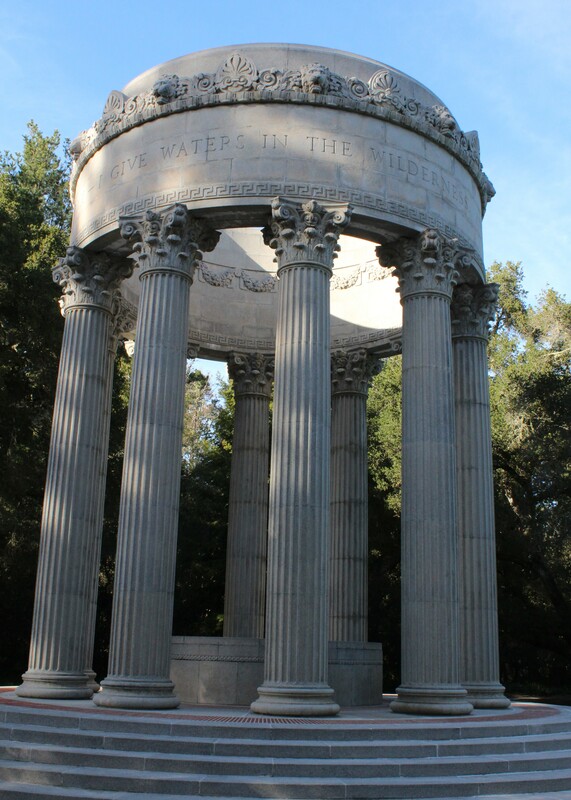 This was constructed in 1938 to celebrate the arrival of Hetch Hetchy water to San Francisco. The water actually arrived on October 28, 1934. The Hetch Hetchy Dam Project in Yosemite National Park was started in 1913 after the 1906 earthquake tragically demonstrated the inadequacy of the city’s water system. Because the dam and reservoir were to be built in a National Park, the Sierra Club was formed to protest this. Many people still believe that the dam should be removed, the reservoir drained, and the Hetch Hetchy valley returned to its natural state. However, it is acknowledged it might be decades or even centuries before the valley could be returned to natural conditions, and re-opened to tourism and recreation. 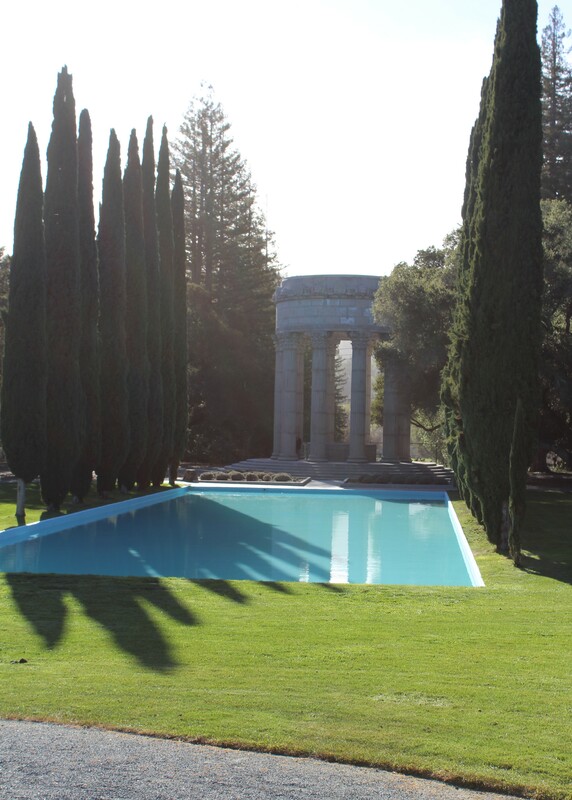 Meanwhile, San Francisco and Bay Area residents have some of the best drinking water in the country, and the water temple is a great place to relax on a nice afternoon. 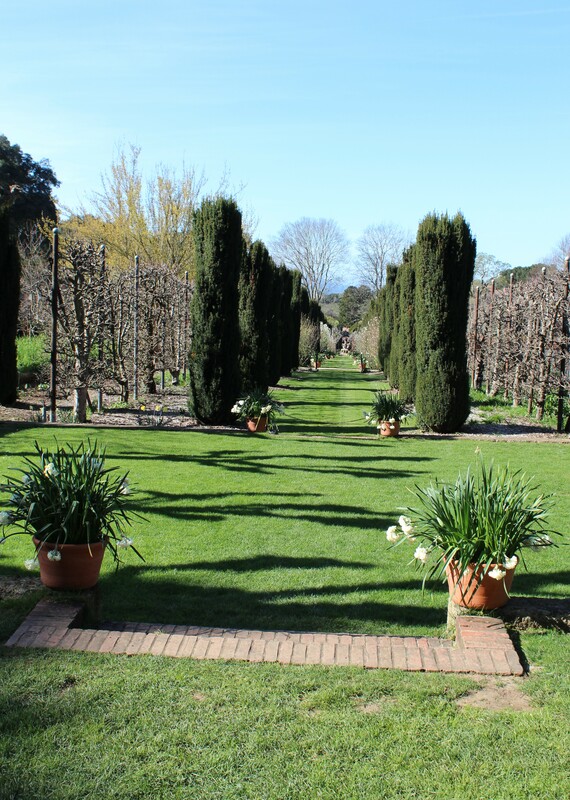 The tour took us all over the gardens. 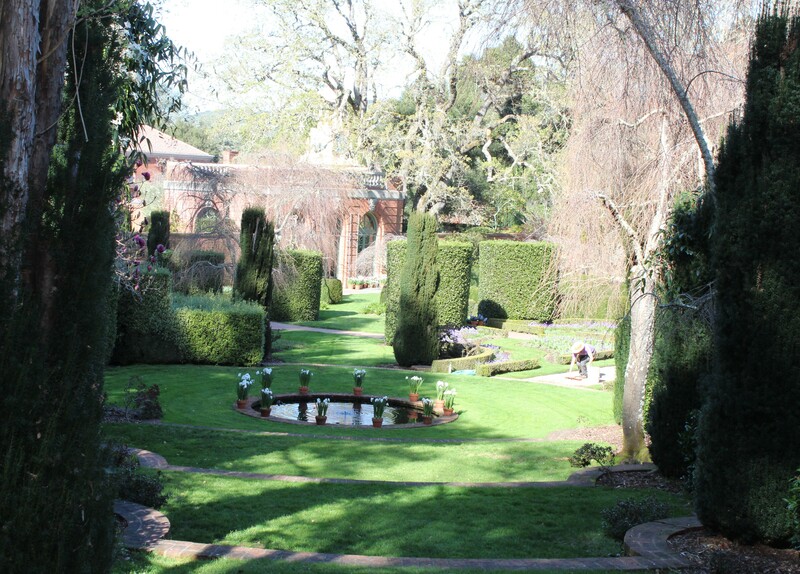 We started with the sunken garden which has a reflecting pool which is home to a protected species of frog. We could see the tadpoles swimming in the water. 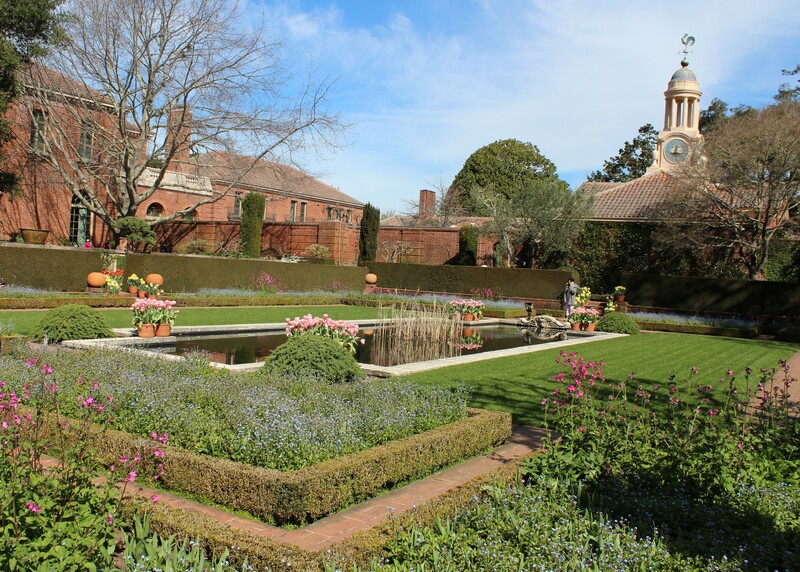 This is the Walled Garden, which was divided into four huge parts. This is the High Place where William Bourn liked to sit and where he could see all of his property, all the way to Crystal Springs Lake. 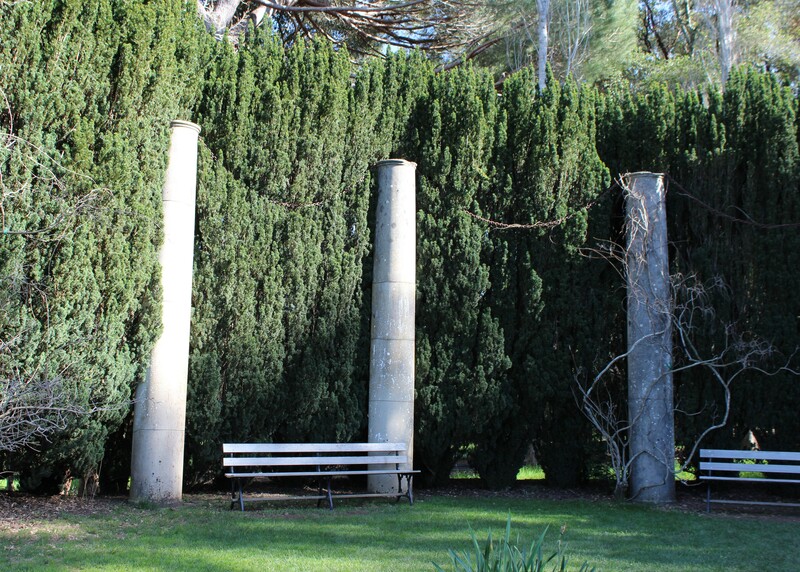 The columns were ballast from his ships. This is the view from The High Place, through over 200 Irish Yews grown from cuttings from Muckross House in Ireland. The other side of the garden is 1/3 mile away. The pool was added in 1946 by the Roths. It’s painted white and is unheated. By this time we had been walking for over 3 hours, and it felt like we had walked for miles. 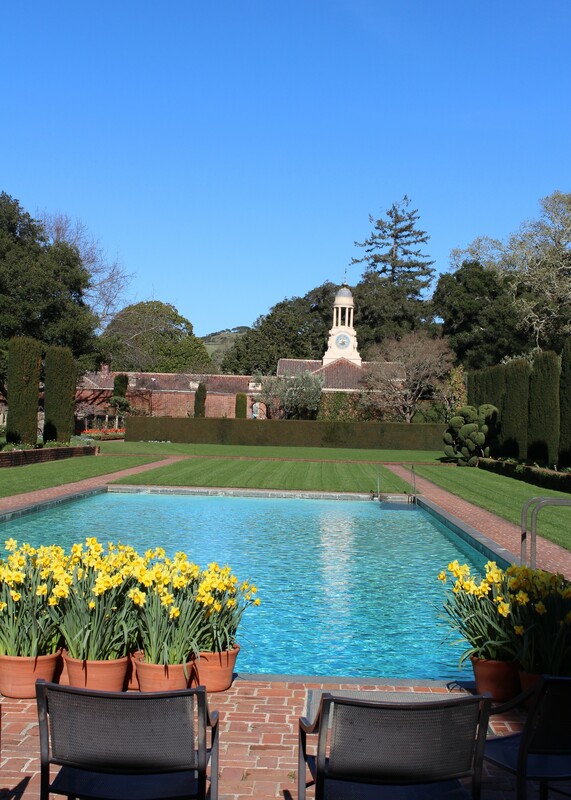 It was also closing time, so we had to end our tour of Filoli and leave. After we toured the mansion, we went into the gardens. 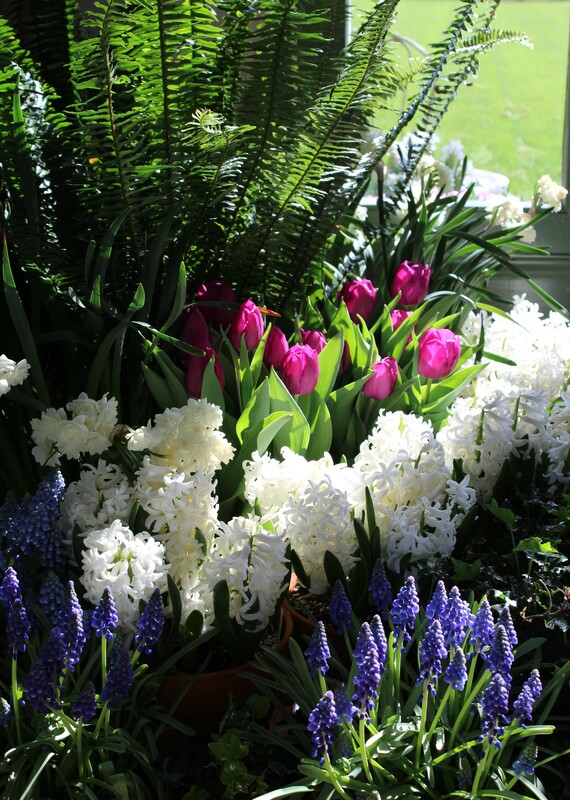 There were wonderful spring bulbs blooming everywhere. 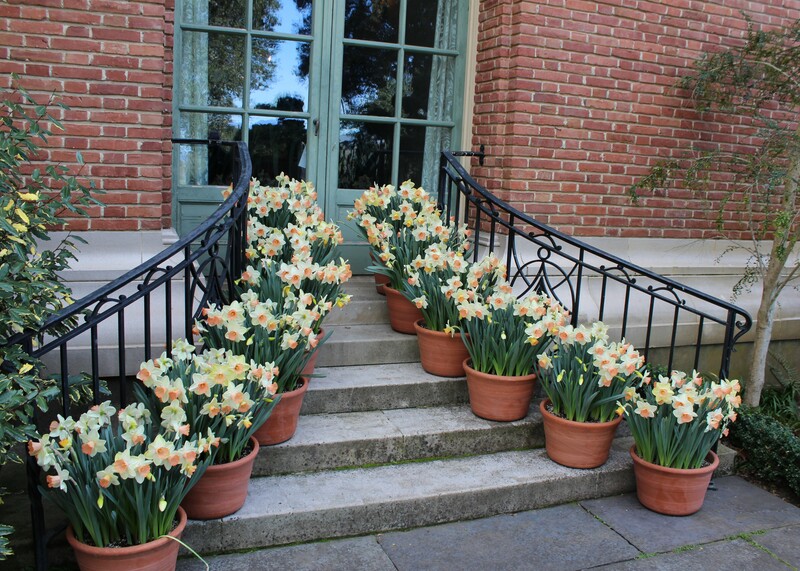 I love these white daffodils with pink centers. And this extremely fragrant arrangement. 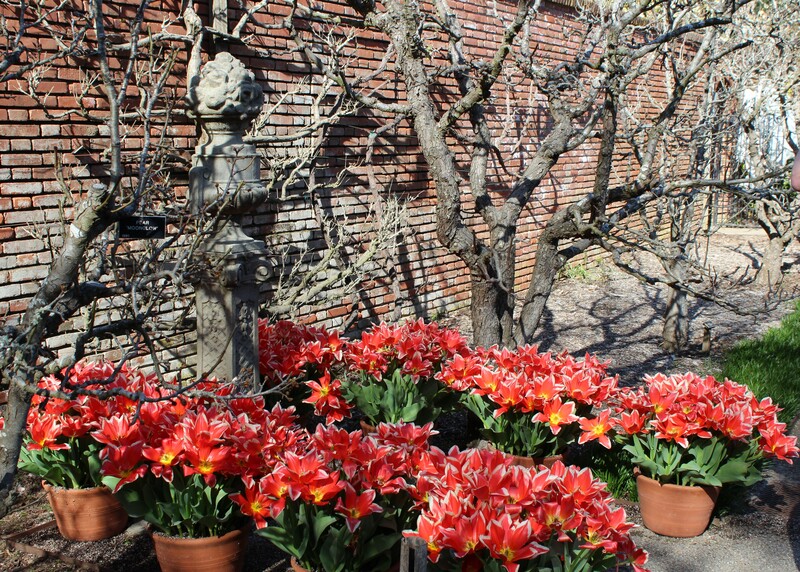 Gorgeous tulips in pots between the trees. 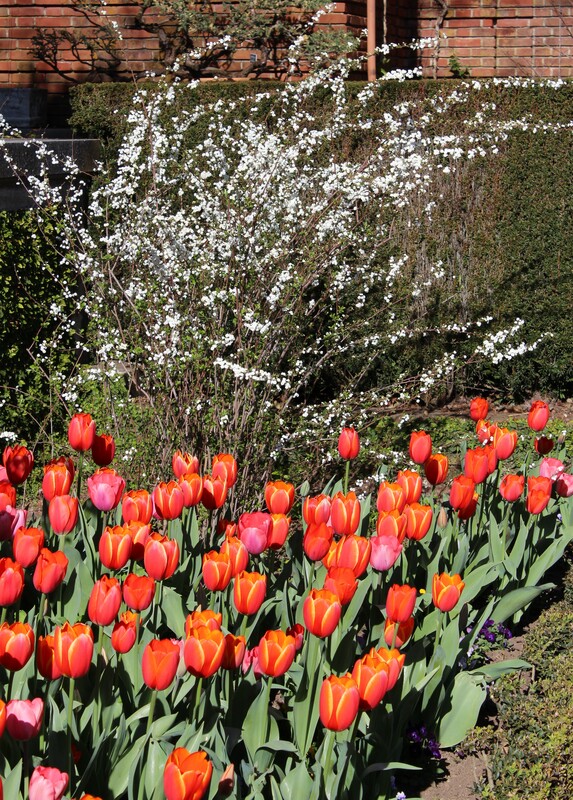 More tulips with white baby’s breath. 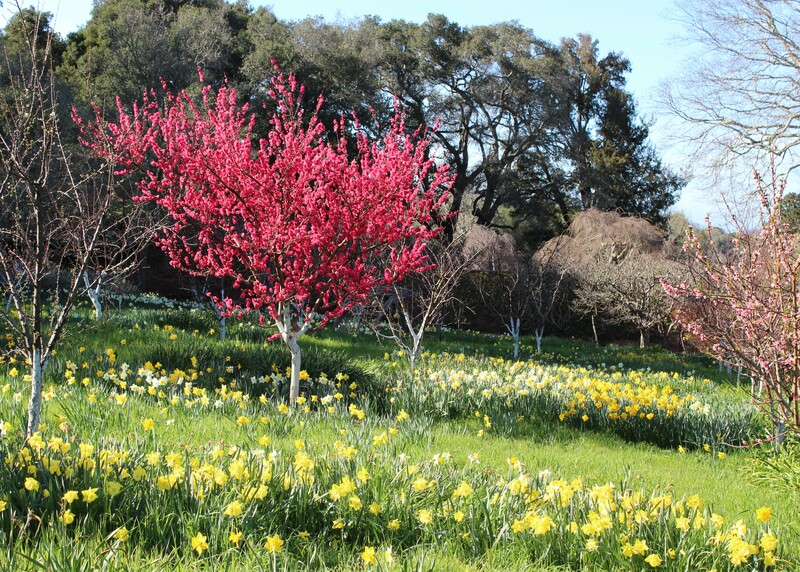 Beautiful pink flowering tree in a field of daffodils. 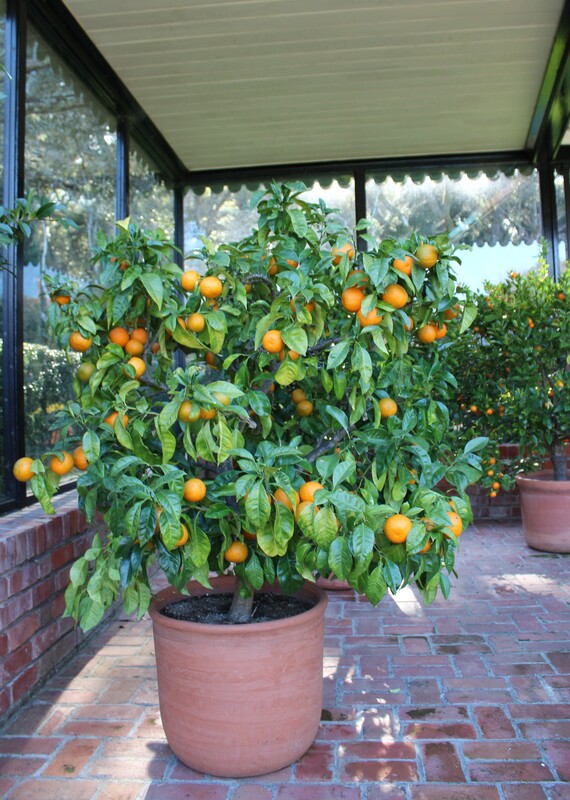 Potted orange tree and other citrus trees out by the pool. And this isn’t all . . . I occasionally get mole sauce in Mexican restaurants, when I’m feeling adventurous, and sometimes it’s good, and sometimes it’s not. Sometimes it’s the same item in the same restaurant that’s good one time and not so much the next. So when I saw this recipe in the newspaper I decided to try it. This is the first time that I’ve made mole sauce at home, and it turned out fabulous! It has a great flavor, and a really nice kick to it. Al and I both loved it a lot, and he asked me to make it again, real soon. Lightly coat the bottom of a large pot with non-stick cooking spray, add onion and garlic and cook until onions are translucent, and the edges start to brown. Add remaining ingredients except chocolate, lime juice, and cilantro, stir to mix, and cook over low heat for an hour. Turn off heat, add chocolate, lime juice, and cilantro, stir gently until chocolate is melted and mixed in. 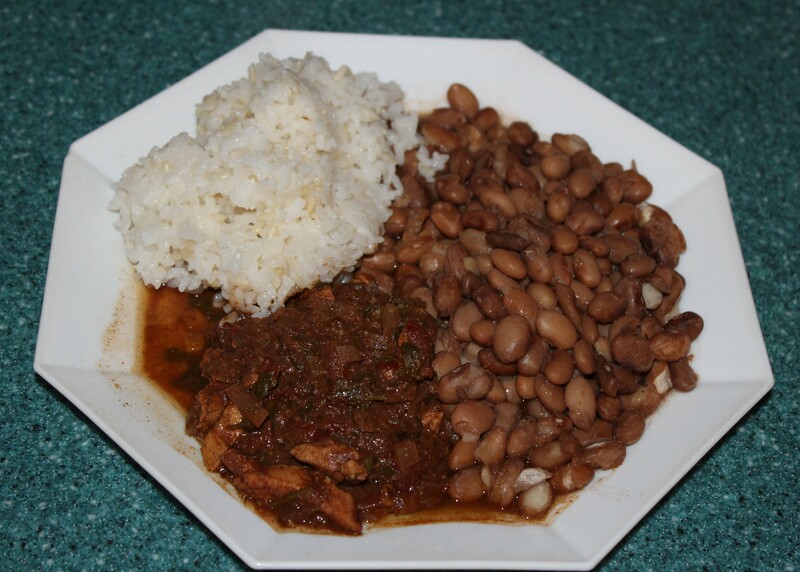 Serve with rice and pinto beans.